The New Year makes most people stop and think about their health and I'm no exception. Last month, my mother told me she was having heart trouble. She noticed her heart was beating too hard and she had a frightening experience where she felt her heart skip (to the point that she thought she was about to die). To give you some background, my mom (a respiratory therapist) has always been the 'health nut' of our family. She has always maintained her weight, been very active, and careful to eat healthy foods. Unfortunately, she was a heavy smoker from the time she was 14 to the time of her quitting at the age of 49 (13 years ago). She quit many times in her adult life, but always fell back into the habit. There's no way to know for sure what caused Mom's artery blockages, but I suspect smoking is the major culprit. It certainly isn't a stretch to imagine the damage smoking did to her heart. After Mom's scary 'heart skipping' experience, did she go to the hospital? No, she didn't! Instead, she waited until she went to work the next day and ran an EKG on herself. Once she saw the results of the EKG, she called and made an appointment with her doctor. At her appointment, the doctor ran another EKG but wasn't too concerned, due to the results of the test. My mom asked the doctor if he would like to see the EKG she ran after her 'heart episode', and he said he would. Once the doctor saw the results of her initial EKG, he became quite alarmed and referred Mom to a cardiologist to have an angiogram done. The angiogram showed Mom had an 80% blockage in her right artery and a 75% blockage in her left artery. The cardiologist then arranged for Mom to undergo a heart stent procedure. My aunt and I took Mom to the hospital last Thursday, to have the procedure done. It took all of 45 minutes and was very successful. Mom's surgeon showed my aunt and I the before and after photos of Mom's heart. It was fascinating! I told Mom she's going to feel at least ten years younger! So back to my New Year's resolutions... When someone you love goes through a health challenge, it really gets you to thinking. What does my heart look like? It's very concerning to tell you the truth. 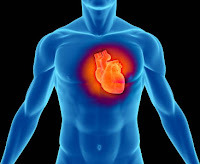 I came across this article today, called "The Seed That Staves Off Heart Disease". Apparently, eating sesame seeds can help your heart by bringing down cholesterol and boosting blood levels of heart-cell-protective antioxidants. In a study, postmenopausal women who took 50 grams (a little more than 3 tablespoons) of sesame seed powder daily for 5 days reduced their total and bad (LDL) cholesterol. But that's not all. The women also had lower blood levels of substances linked to lipid peroxidation and oxidative stress (both of which cause cell damage) and higher levels of heart-protective vitamin E.
Did you know hummus is made with tahini paste (made from sesame seeds)? I have always wanted to try it. I love Mediterranean food so something tells me I'm going to love it! As part of my New Year's resolutions, I want to start eating more vegetables. Ideally, I want to make those vegetable servings raw. Supposedly, hummus makes a great veggie dip. If interested, watch this YouTube video of a lady making hummus dip. I'm going to do something good for my heart and make sesame seeds a regular part of my diet. How about you? Best wishes to your Mom. And you are going to love hummus. Get 3 or 4 different kinds to determine which flavor you like best. We're glad your Mom is ok. Our Daddy had to have stents a couple of years ago - he was 90% blocked in one and 85% in the other! Mom loves hummus - we know you will too. Thanks for the reminder about hummus. Maybe we'll make her get some today! A most excellent post, honey! I think what might have happened to your mother is, all those years of smoking caused scarring in her heart and arteries. Once there is scarring, it causes stuff to attach to the scar tissue. As time goes on, more and more stuff attaches to the scar tissue, to the point where it causes total blockage. So in addition to the surgical procedure, if I were your mother, I would try to never again eat anything that comes in a box or a bag. Fresh fruits, veggies, water and exercise. If you get creative, you can find all kinds of different ways to eat healthy. The body will eventually clean itself out, and that includes much of the stuff that caused the blockages. I love you! And again, great job, honey! Glad your mom is going to be okay. I too smoked for years and have since quit. I just had a trip to the cardiologist and everything checked out fine. Well, for now anyway. I didn't know about the sesame seeds though. Thanks for the tip. I love hummus!! My favorite brand is Athenos - the original flavor. It's good with Wheat Thins, celery sticks, or even as a sandwich! I make a sandwich with whole wheat bread, hummus, and bean sprouts. It's really yummy fresh tasting. I'm glad you're mom is okay. My grandfather is having similar problems, so I can totally relate. I'll keep her in my prayers. The best hummus? Drain a can of chick peas, put the peas in your processor with lemon juice, tahini and lots of garlic. Process to desired texture. Fantastic. No added salt or preservatives. And cheap. Bartolomo - Mom is doing very well. Thanks for the kind wishes. I can't wait to try hummus! Sadie - I love your enthusiasm! :) I can't wait to try hummus. I know I'm going to love it. Thanks for the prayers and the fish oil tip. My friend and coworker takes fish oil caps daily too. Glad your mom is doing better; this is a great post for people to understand the importance of early detection (and healthy diet) for whatever ails you. Also I LOVE hummus! I've also read a lot about cayenne pepper being a heart strengthener. Taken in caplets, there's no mouth-burn, doesn't upset the GI tract at all. Don't know any more than that. Have you read/heard anything along this line? And your mom is taking a baby aspirin every day? My mom has major heart problems. Everyone on her side that has died, it's been due to their heart. All of her (8) bros and sisters have heart dx. Guess I should be taking the cayenne, huh? Thank goodness your mom is doing all right... Pretty darn scary! I like your resolution--good idea--something simple that will make a big difference. :) Take good care! Mike - Thanks! You're so right. Early detection is key. Don't ignore the smallest of warning signs! Having good health is indeed priceless. I bought chickpeas and tahini paste last night! :) I can't wait to make me some hummus! Nicole - Yes, it was scary but Mom's doing great now. Thanks for stopping by and taking time to comment!